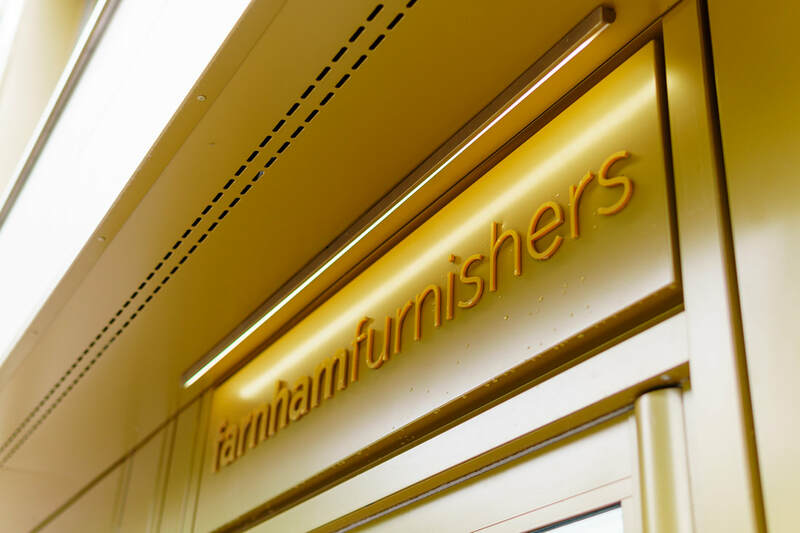 ​Farnham Furnishers has recently gone through a major refurbishment and has turned a dated 1960's concrete office into a modern, glass-fronted showroom with limestone cladding and bronze accents. The space is now 4,000 sq ft and takes up the entire ground floor of the building. Within the space, there are 29 displays with 13 kitchens, nine bedrooms, and seven studies. 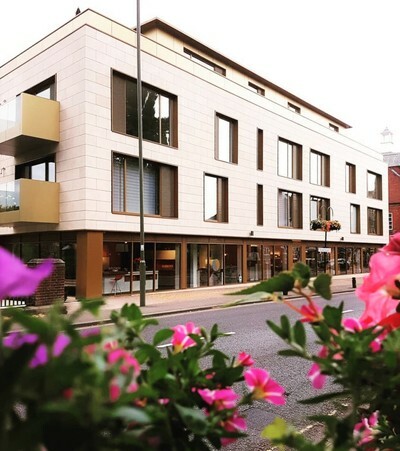 The whole showroom ranges from the ultra-modern to the traditional English handmade furniture. Each style of display has options for a range of budgets, for example the contemporary designs have displays that are suitable for family homes to more high-end budgets, where island counters come with champagne coolers. 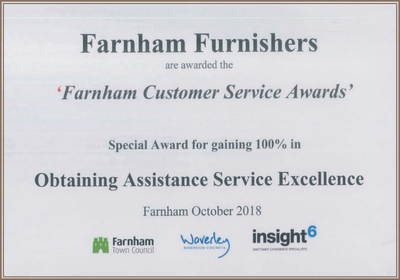 With such an abundance of displays, we have seven full-time consultants, who are seated around the showroom, which allows clients to walk around but never be too far away from advice and help if they need it. All the displays are planned by the showroom designers themselves, who also design their own desk and presentation areas, which creates space for both the designers to showcase their work and also have a comfortable area to sit with clients. 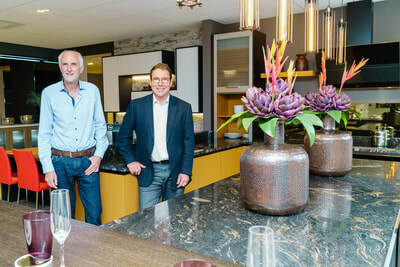 When clients walk round the showroom, they are taken on a journey through different sections and lifestyles. 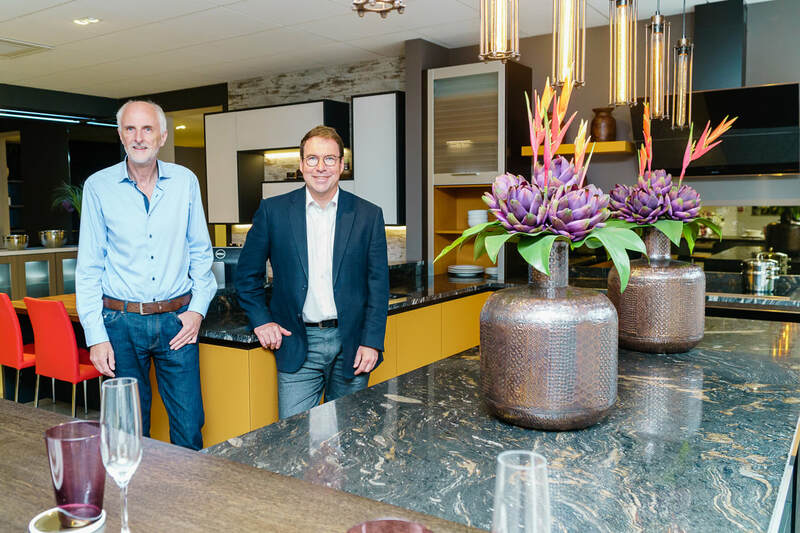 The showroom décor varies from display to display to help differentiate the room sets and create a ‘mood’ in each zone, with a relaxed, unhurried, no-pressure feeling. 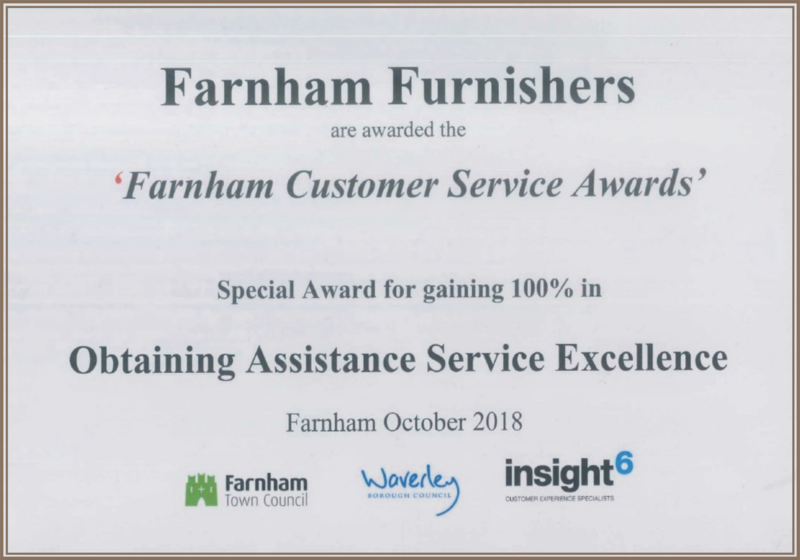 The showroom includes many brands, including Crown Imperial, Warendorf, Loddenkemper and its own brand – Farnham Furnishers, which offers traditional handmade in-frame furniture hand-painted on-site. 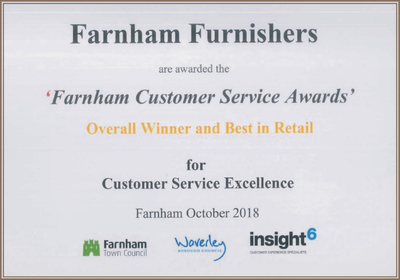 Over the past 27 years, Farnham Furnishers has become its own very distinctive brand. We work with a number of manufacturers and our clients come to us more for our bespoke design style. The showroom is established in the local community and many interior designers from London, down the coast and north as far as Oxford all travel to visit the showroom. recommendations and repeat business from loyal clients. That said, with the expansion and face lift of our studio in the town centre, Farnham Furnishers has been re-branded and with the launch of this our new website, ​which we update regularly with projects, to keep you up-to-date with our designs and customer feedback.